EXCLUSIVE | A subsidiary of Lion Air, whose Boeing 737 crashed in Jakarta yesterday with 189 people presumed dead, has been in discussions to establish flights to Adelaide next year. Indonesian officials say all passengers and crew were killed when Lion Air Flight JT610 crashed into the ocean minutes after take-off from Jakarta yesterday. 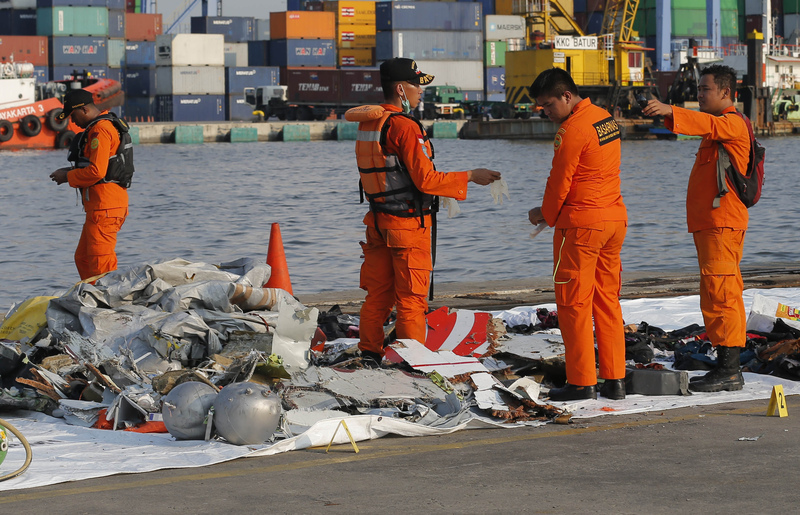 Human remains, aircraft debris and personal belongings are being retrieved from the Java Sea. InDaily has confirmed that Malindo Air, a subsidiary of Lion Air, has been in negotiations with Adelaide Airport to establish regular flights between Adelaide and Bali. The Australian Government this morning issued a temporary directive, ordering its officials and contractors not to fly using Lion Air or any of its subsidiaries, including Malindo Air. A spokesperson for Adelaide Airport confirmed to InDaily that it had been in discussions with Malindo Air. “Adelaide Airport is in discussions with Malindo Air regarding a direct service between Adelaide and Bali,” the spokesperson said. Adelaide Airport declined to say whether yesterday’s disaster had impacted those negotiations, or whether any adverse finding against Lion Air in relation to the crash would be a deciding factor. “Adelaide Airport is shocked and saddened by yesterday’s events and offers its condolences to everyone affected by this tragedy,” the spokesperson said. “We would prefer not to comment on the incident itself. In April last year, a Malindo Air flight skidded off the runway at Tribhuvan International Airport in Kathmandu with 139 people on board. Nobody was hurt in that incident and Malindo Air maintains a seven-out-of-seven star safety rating on AirlineRatings.com. The rating means the airline has had no fatalities, that it has been certified by the International Air Transport Association’s operational safety audit, that it is endorsed by the US Federal Aviation Authority and that Indonesia meets the International Civil Aviation Organisation’s country audit. Malindo Air rates 7/7 for safety, taking into account a series of measures. Lion Air, has a six-out-of-seven rating on the website. Yesterday was Lion Air’s second fatal crash. Lion Air rates 6/7 for safety, taking into account a series of measures. The budget carrier has reportedly recorded more than a dozen accidents since 2002, including in 2004, when one of its planes skidded off a runway in Surakarta, Indonesia, killing 25 passengers and crew. It had been among the Indonesian airlines blacklisted by the European Union until 2016. Australian officials are today urgently trying to find out if any Australians were on board yesterday’s fatal flight. The plane went down in waters about 30 – 35 metres deep. Lion Air said the aircraft had been in operation since August and was airworthy, and that its pilot and co-pilot had together accumulated 11,000 hours of flying time. The flight took off from Jakarta at around 6.20am (9.50am Adelaide time) and was due to have landed in Pangkal Pinang, capital of the Bangka-Belitung tin mining region, an hour later. The head of Indonesia’s transport safety committee said he hoped the cause of the crash would be determined when the plane’s black boxes, as the cockpit voice recorder and data flight recorder are known, were recovered. The effort to find the wreckage and retrieve the black boxes represents a major challenge for investigators in Indonesia. Data from FlightRadar24 shows the first sign of something amiss was around two minutes into the flight, when the plane had reached 2000 feet (610 m). Then it descended more than 500 feet (152m) and veered to the left before climbing again to 5000 feet (1524m), where it stayed during most of the rest of the flight. It began gaining speed in the final moments and reached 345 knots before data was lost when it was at 3650 feet (1113 m).